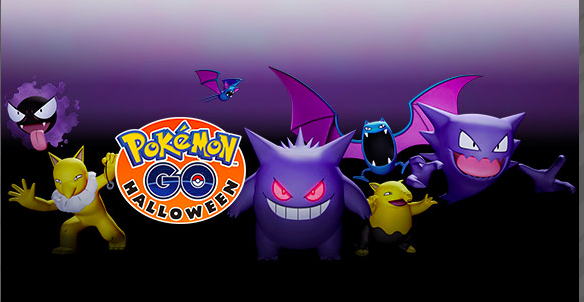 If your little monsters are determined to hunt down some spooky Pokémon on their trick-or-treat route this Halloween, be sure that the fun of finding Ghastly or Haunter doesn’t turn into a deadly distraction. The National Highway Traffic Safety Administration reports that Halloween is consistently one of the top three days for pedestrian injuries and fatalities, and the Centers for Disease Control and Prevention estimates that children are four times more likely to be struck by a motor vehicle on Halloween than on any other day of the year. Excited trick-or-treaters often forget about safety, the American Automobile Association (AAA) warns, so motorists and parents must be even more alert. The AAA offers these tips to keep young ones safe on Halloween. Meanwhile, Pokémon GO’s virtual Halloween update is reportedly drawing players back to the mobile app that took the world by storm earlier this summer. While catching all the candy could be a healthy alternative to eating all the candy, there are also some side effects that could prove hazardous. Researchers at San Diego State University and UC San Diego found about 113,000 total incidences of a driver, passenger or pedestrian distracted by Pokémon GO in their review of Twitter postings over just a 10-day period (July 10 through July 19, 2016). There were also 14 unique crashes—1 player drove his car into a tree—attributed to Pokémon GO in news reports during the same period. The researchers noted that by rewarding movement Pokémon GO incentivizes physical activity. The good news is that injuries and property damage resulting from distracted Pokémon GO users are for the most part covered by insurance, according to the Insurance Information Institute (I.I.I.). In its smart road tips for Halloween safety, Consumer Reports advises the public not to use a cell phone or other mobile device while driving and to pull over safely to check voice messages or texts. Check out I.I.I. 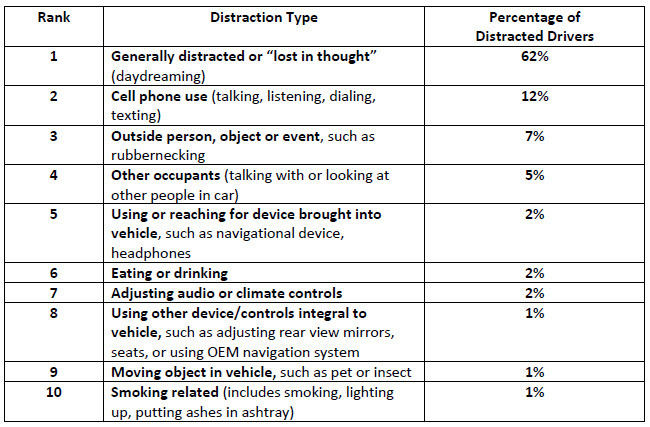 facts and statistics on highway safety and distracted driving here. Emailing or texting drivers are an even greater danger on the road than previously thought, according to a new study by the Texas Transportation Institute. Researchers found that a driverÃ¢â‚¬â„¢s reaction time is doubled when distracted by reading or sending a text message. Reaction times with no texting activity were typically between one and two seconds. However, reaction times while texting were at least three to four seconds. Worse yet, drivers were more than 11 times more likely to miss the flashing light altogether when they were texting. Researchers also measured each driverÃ¢â‚¬â„¢s ability to maintain proper lane position and a constant speed. They found texting drivers were less able to safely maintain their position in the driving lane or to maintain a constant speed while texting. The study is the first published work in the U.S. to examine texting while driving in an actual driving environment. Federal statistics suggest that distracted driving contributes to as much as 20 percent of all fatal crashes, and that cell phones constitute the primary source of driver distraction. Researchers point to two numbers to illustrate the magnitude of the texting while driving problem: an estimated 5 billion text messages are sent each day in the United States, and at least 20 percent of all drivers have admitted to texting while driving. Check out this Reuters report for more on the study findings. ThisÃ‚ I.I.I.Ã‚ background paperÃ‚ has more on this topic. A story on sidewalk rage is all the rage right now, thanks to the Wall Street Journal. Do you get impatient in a crowded area? Bump into others, or act in a hostile manner by staring or giving them a mean face when they walk too slowly? Have you ever thought about punching slow walking people in the back of the head? If so, you could be suffering from Pedestrian Aggressiveness Syndrome, otherwise known as Ã¢â‚¬Å“sidewalk rageÃ¢â‚¬ . ThereÃ¢â‚¬â„¢s even a Facebook group called Ã¢â‚¬Å“I Secretly Want To Punch Slow Walking People in the Back of the HeadÃ¢â‚¬  with more than 15,000 members. The Ã¢â‚¬Å“I Secretly Want To Trip Fast Walking PeopleÃ¢â‚¬  Facebook group has only 62 members, however. At its most extreme sidewalk rage can signal a psychiatric condition known as Ã¢â‚¬Å“intermittent explosive disorder,Ã¢â‚¬  the Wall Street Journal reports. Researchers are now looking into what triggers such rage and what that experience is like according to a scientist at Colorado State University quoted in the story who studies anger and road rage. But what about distracted pedestrians? I think we can all relate to the challenges of sharing the sidewalk with cell phone talkers or text and walkers. Finally, the WSJ notes that people slow down when distracted by other activities too. It cites a 2006 study by the City of New York and the NYC Department of City Planning that showed smokers walk 2.3 percent slower than the average walkerÃ¢â‚¬â„¢s 4.27 feet per second, while cell phone talkers walk 1.6 percent slower. A recent New York Times article looked at the growing dangers of distracted pedestrians. The problem has prompted lawmakers in several states to introduce legislation that would ban the use of cell phones, iPods or other electronic devices by people running or walking on the street or sidewalk. Maybe itÃ¢â‚¬â„¢s not just anger management, but electronic gadget management Ã¢â‚¬“ on the roads and sidewalks Ã¢â‚¬“ that we all need. Check out I.I.I. information on distracted driving. ItÃ¢â‚¬â„¢s ValentineÃ¢â‚¬â„¢s Day, and maybe you’re planning on driving your sweetheart to dinner. Before you do, consider this: romantic distractions while driving can be dangerous year roundÃ‚ Ã¢â‚¬“ not just on Valentine’s Day, according to a poll conducted for InsuranceQuotes.com. The poll found nearly one-third of American drivers are smooching or engaging in other romantic contact while theyÃ¢â‚¬â„¢re behind the wheel. Some 29 percent of drivers surveyed acknowledge theyÃ¢â‚¬â„¢ve been amorous behind the wheel throughout the year Ã¢â‚¬“ not just on ValentineÃ¢â‚¬â„¢s Day. That number climbs to 39 percent for highly educated drivers (at least a bachelorÃ¢â‚¬â„¢s degree) and high-income drivers (at least $75,000 in annual earnings). Check out further I.I.I. information on distracted driving. Hat tip to Insurance Journal for more on this story.